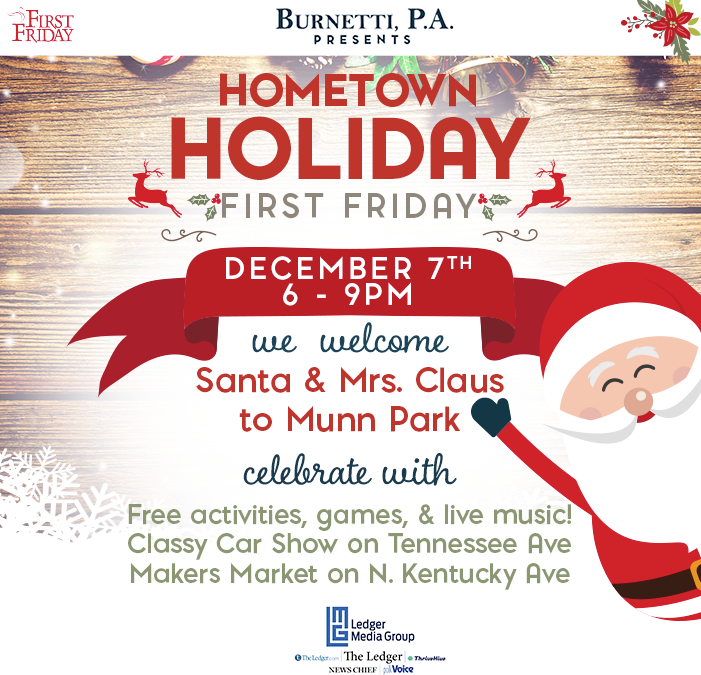 December 7th First Friday: Hometown Holiday, sponsored by Burnetti, P.A. 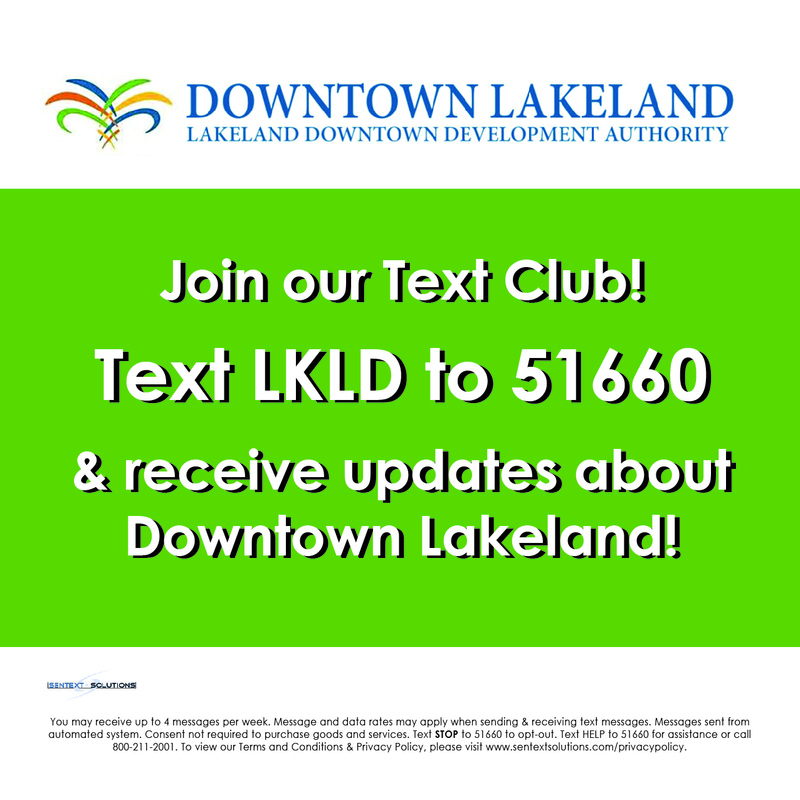 December’s First Friday event will take place on December 7, 2018 from 6pm to 9pm in Downtown Lakeland. The theme is Hometown Holiday, sponsored by Burnetti, P.A.! Visit Santa and Mrs. Claus, and enjoy free activities, games, and live music in Munn Park. Downtown shops and restaurants will be open late. Don’t miss the Makers Market on North Kentucky Avenue and the Classy Car Show on Tennessee Avenue. On-street parking begins to close in the event area at 3pm to allow us to clear the streets and set up the exhibitors and vendors. Parking in all permitted and metered locations is free after 5pm and all day on the weekends. Event parking is limited, so please carpool with friends and neighbors! Downtown offers VALET PARKING! Drop off and pick up at the corner of Lemon and Tennessee.